Shopping for Strawberry Shortcake Dolls? Strawberry Shortcake is the little girl with big possibilities. 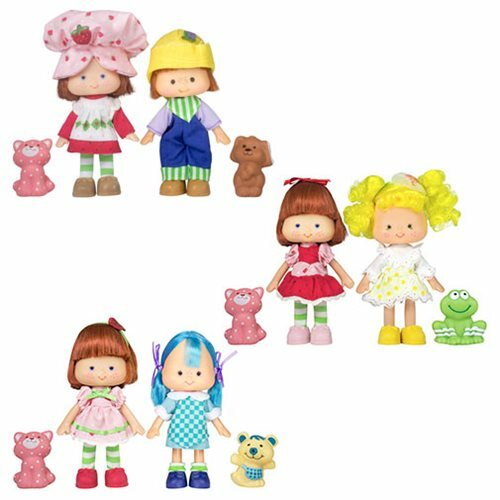 Now fans from the past and present can once again enjoy Strawberry Shortcake and her friends with these special 2-pack sets. These special collector sets include original reproductions from the 1980s of some of your favorite characters with their dessert pets. Revisit Berry Bitty City again with this Strawberry Shortcake and Friends Retro 2-Pack Case. Measures about 8-inches tall. Ages 3 and up.